Note: if you just want Web access to Oxford-only sites, look at my Autoforward script. From that page, download putty.zip for Intel x86, as this contains all the programs needed. Once it has downloaded, unzip it to a folder (for example c:\putty), and then run putty.exe. At this point, you should see the window shown above. At this point, you enter the settings you want, and then click Open to connect. library.ox.ac.uk Telnet Oxford Library Information System - look up books, etc. If you are planning to use SSH to do work from college, you will probably want to use to use SciTE or maple. This means that you will need to use X-Windows. To do this, you need to install an X server, which displays the remote session's windows on your computer. Install X.org (part of Cygwin). Completely free, but harder to install, and installs a lot more than just X. Get a copy of Exceed from OUCS and install it. This costs more (the licence is free, but the CD is £10), but installs less unneeded utilities with it. 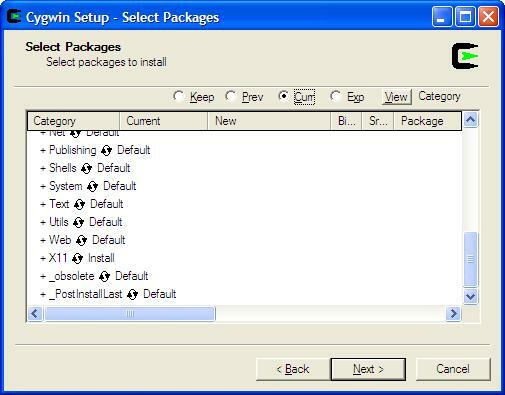 To install Cygwin, go to http://www.cygwin.com/, and click "Install now" to download the setup program. When you run setup, the first thing you need to tell it is to install from the Internet. Next, pick a folder for it to install into - the default folder will be fine. After that, pick a folder for the installation files to be placed. After all that, you will eventually be asked to pick a download site. The best one for Oxford is probably ftp.mirror.ac.uk, so select that, and click next. The installer will now download a list of packages for you to choose. In the list, find "X11", and click the arrows so that it reads "Install". Now, click next, and allow the installer to install Cygwin. You are now ready to use it. There is not much to write about installing Exceed. The installer is just like normal Windows installers, and will install the necessary components by default. If you want to see the entire remote desktop (e.g. fvwm2 on the maths computers), run Xconfig, go to "Display and Video" and select "Single" as your window mode. This matches the default X.org behaviour (a window opens, which contains all X activity). If you just want to run individual applications, set this to multiple, and the applications will appear in normal windows. When you want to use X-Windows, start your X server. For Cygwin's X.org, start the Cygwin shell, and run "xwin &". For multiple window mode, use "xwin -multiwindow &". With Exceed, go to "Start", "Programs", "Hummingbird Connectivity 9.0", "Exceed", and then "Exceed". Next, start PuTTY. After loading the settings for your server, you can then go to the Connection/SSH section, and then tick "Enable Compression". This will help speed up the desktop, making it useable remotely. Next, go to the X11 section. In this, tick the "Enable X11 Forwarding" box. This means that X-Windows will be automatically redirected to your computer, without any effort needed. Finally, click "Open" to connect. Although copies of Maple can be bought cheaply (or free, if you share the CD), there are several reasons why you might want to use it remotely. For example, Maple can use up to 50MB of memory just to start, so older computers may run it slowly or not at all. and press enter to connect. Once you have logged in to this, run "xmaple &" to start Maple. As you may have noticed, if you try to access the lecture lists, past exam papers and certain lecture notes, you will be blocked if you happen to be outside Oxford. This is not much use if you are at home when you need them! For these times, you can use SSH forwarding to access the notes. In the Tunnels section of PuTTY's settings, you will see a section marked "Add new forwarded port". In this, enter a source port (e.g. 8080), enter "wwwcache.ox.ac.uk:80" as the destination, and then click Add. Once you have connected to the server, open Internet Explorer, and go to Tools, then Internet Options. Open the Connections tab. At this point, if you use dialup, select your connection and click on Settings; otherwise, click LAN Settings. 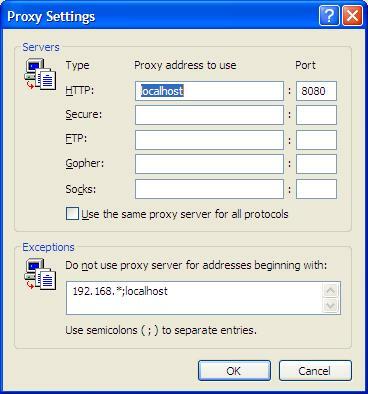 In the window that appears, tick "Use a proxy server", and click the advanced tab. If a proxy server is already listed, write it down first. Under the HTTP area, enter "localhost" and the source port you used earlier. Finally, click OK until the windows have closed. You can now access the site. 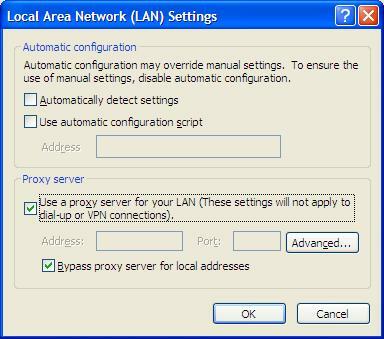 When you have finished, simply open the settings window and untick "Use a proxy server". Once you have done that, open the PuTTY window and type "exit" to log off. Open Firefox, and go to Tools, then Options. Click the "Connection Settings" button, and select "Manual proxy configuration". Now, under HTTP, enter "localhost" as the proxy, and port 8080, before clicking OK, and then OK again. When you are done, repeat this process, but select "Direct connection to the Internet" (or whatever was there previously). This works with virtually all SSH servers - the only difference being the computer used and the username and password.